3, 2, 1, blast off! Take a creative journey through space as you color the galaxy your way. 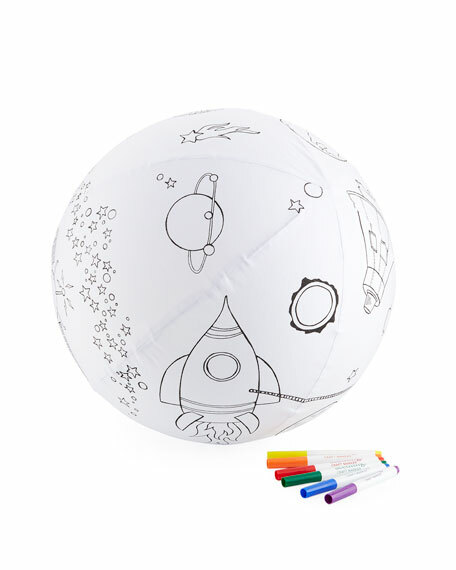 This inflatable ball is covered in printed cotton fabric featuring a rocket ship, planets, comets, stars, and more! This kit promotes creative confidence, problem-solving skills, creative and imaginative play. 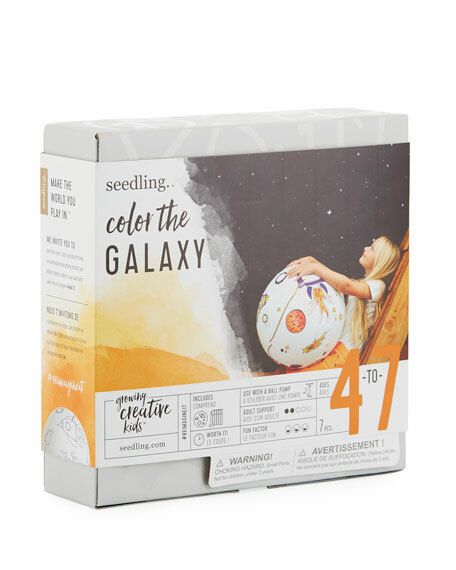 Kit includes: inflatable fabric-covered 16" galaxy ball, craft markers. Ball or bike pump needed to inflate before coloring. For in-store inquiries, use sku #2297438.